Curriculum - "Spreading the joy of Judaism!" 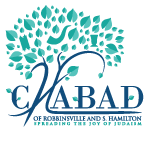 At Chabad Hebrew School we focus on educating our students with the knowledge and unique values of Judaism. To make this a reality, our academic program is designed around several subjects which serve as lenses through which we can impart these important goals. There is great value to Hebrew literacy. Accessing our common language by attaining the skill of reading Hebrew, enables our students to identify with their common identity and imparts a sense of belonging. It gives the students a sense of comfort and familiarity in the synagogue and gives them basic skills that they can build on if they choose to learn the language in greater depth or visit Israel. Our Hebrew School uses the acclaimed Aleph Champ program to ensure that your child will read fluently at the end of his/her Hebrew School experience. The Aleph Champion Program© is on the cutting edge of Hebrew reading today. Modeled after the Karate/Martial Arts motivational system, it works by dividing different reading skills into levels defined by color. Students understand that their teacher is a black aleph champion and their goal is to reach that level. Our students will attain an appreciation and affection for our homeland Israel, and its central place in Jewish history, life, observance and destiny. It is intrinsic to our identity as a people that we learn the stories of our ancestors. However, stories are much more than a memorization of names and places. Stories are the threads that connect us to each other, to our past, present and future. The students gain an appreciation of how our heritage and culture have been experienced and preserved throughout the ages and learn the relevance of those lessons to modern life. The Torah refers to the festivals of the Jewish calendar as moadim, "appointed times," and as mikraei kodesh, "callings of holiness”. A holiday is an appointment with the past, an encounter with an event and phenomenon in our history. Each holiday marks a point in our journey through time at which G‑d, accompanying us in our first steps as a people, supplied us with the resources that nurture our spiritual lives. But these were not one-time gifts from above. The individual themes of the holidays help nurture the constant needs of the soul. They are the spiritual nutrients that sustain her in her journey through life. At CHS we focus not only on the story of each holiday but also on the spiritual theme and relevant lessons each holiday provides. Mitzvot and Jewish values give us the opportunity to anchor lofty concepts in daily life. By performing good deeds, we implement our knowledge in a real and meaningful way. Connecting learning with doing enables us to transform the world. Mitzvot honor our relationships with G‑d, with each other, and with the world. Embedded in every class, are the timeless Jewish values that have enriched the world and have made our people unique.